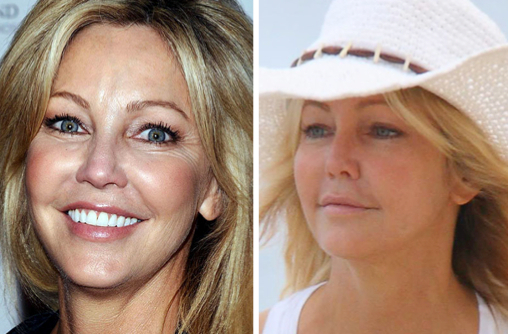 Has plastic surgery helped Heather Locklear look so fabulous at 50? How does Heather do it? Has plastic surgery had any role in her battle against aging? Judges say yes! Continue Reading to find out what she’s had done! What Happened To Heather Locklear? Did She Get Fat Injections to Plump Her Face? The woman who never seems to get any older (along with Claudia Schiffer) was recently spotted with a puffed up face. Click here to find out what happened to Heather Locklear on BeautyWithoutTheBlade.com!